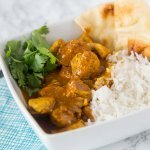 Chicken Satay Stir Fry – all the flavors of your traditional chicken satay served on skewers, but in a stir fry form over rice as a quick and easy dinner! My family loves Thai flavors. 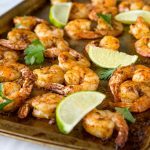 One Pot Thai Shrimp Pasta is something that is so easy to make and great for nights when I have nothing planned. 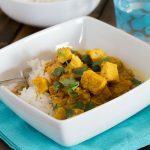 Often times people see peanut butter in a savory recipe and run the other way, but it is so good! 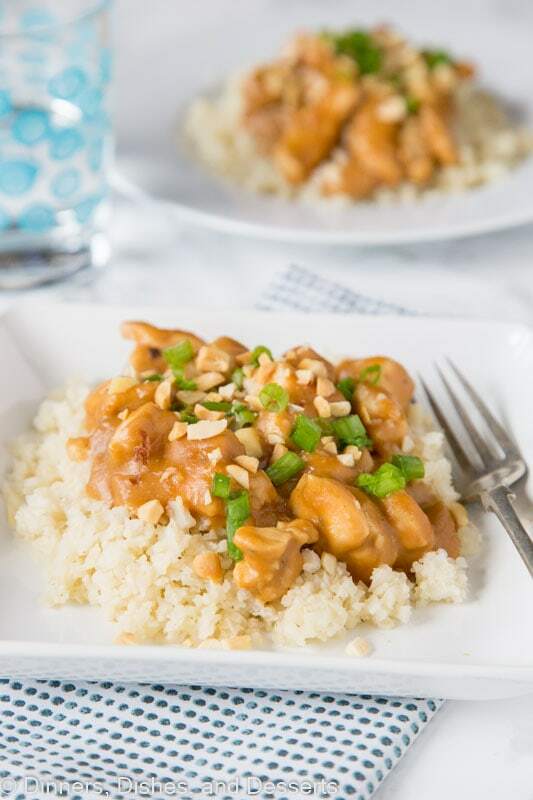 Peanut Chicken and Rice is another example of a peanut sauce over chicken that is just comforting, full of such great flavor and ready in minutes. Which is exactly what you want out of a weeknight meal, right? During a busy week no one has hours to spend in the kitchen getting dinner on the table. You want something that is ready in minutes, that doesn’t create a lot of dishes, and that the family is not going to complain about. That is not a lot to ask for is it? 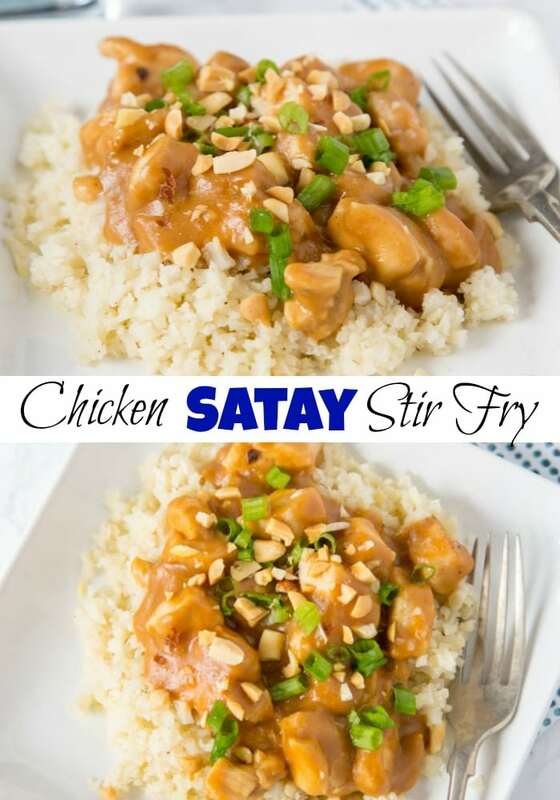 Not with this chicken satay stir fry! Chicken dinner ideas are what busy weeks call for. 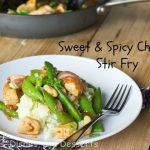 A chicken stir fry is a great way to get dinner on the table fast and just use whatever veggies you have in the fridge. You can even mix up the protein, it doesn’t always have to be chicken. 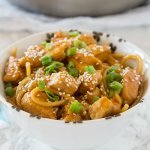 Pork works amazing in a basic stir fry. 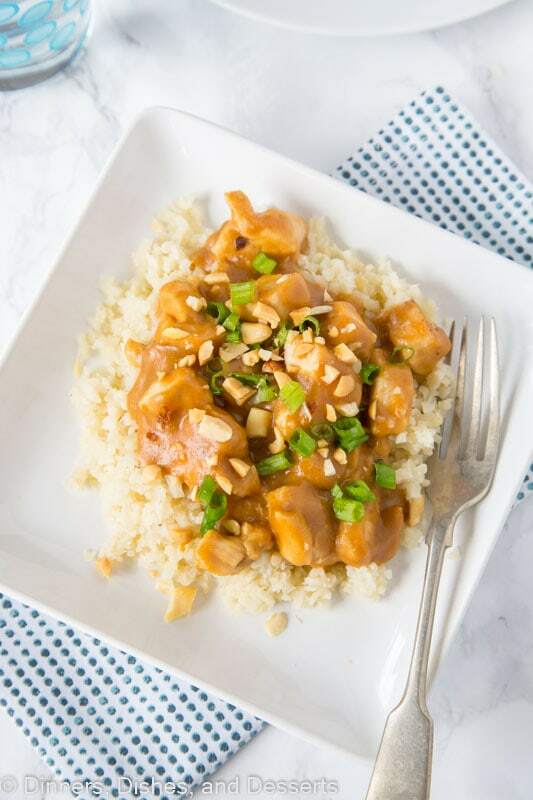 Probably not one that is supposed to taste like the classic Thai appetizer chicken satay, but you get the idea. Making a stir fry is really very simple. The key is to have all the ingredients prepped ahead of time. You cook it over a high heat, so it cooks fast and you want to be ready. A stir fry doesn’t always have to be served over rice either. 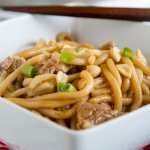 Garlic Beef Noodle Bowls are stir fry that is always a huge hit. Mix together your sauce. I like to use a liquid measuring cup and just mix the sauce together, so it is ready and waiting for me. Prep your veggies. Chop and get everything read for when it is time to add it to the pan. Try to chop everything the same size, so they cook evenly. Cut up your protein. I like to cut my chicken in bite sized cubes so it is easy to eat. But you can do thin strips too if that is what you like. Have your rice almost ready. Rice almost always takes the same amount of time to cook, so start your rice and when you are 10 minutes away from it being done, start cooking your stir fry. 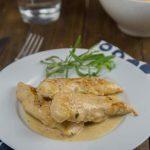 This chicken satay recipe is super simple to make. The sauce is just basic ingredients that you probably have on hand already. 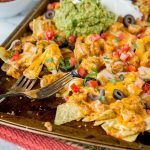 So it is great for busy nights when you don’t want to run to the store or don’t have something planned. 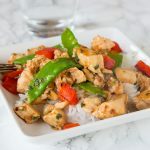 I served this chicken stir fry over white rice, but you can use brown rice or even cauliflower rice if that is your thing. Anything to soak up all that delicious satay sauce is what you are looking for! 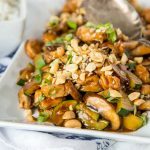 Top with crushed peanuts and a few green onions and you have dinner on the table in just minutes! This chicken dinner sounds simply irresistible. Great way to change up the normal chicken routine. Sounds flavorful! Looks fabulous! 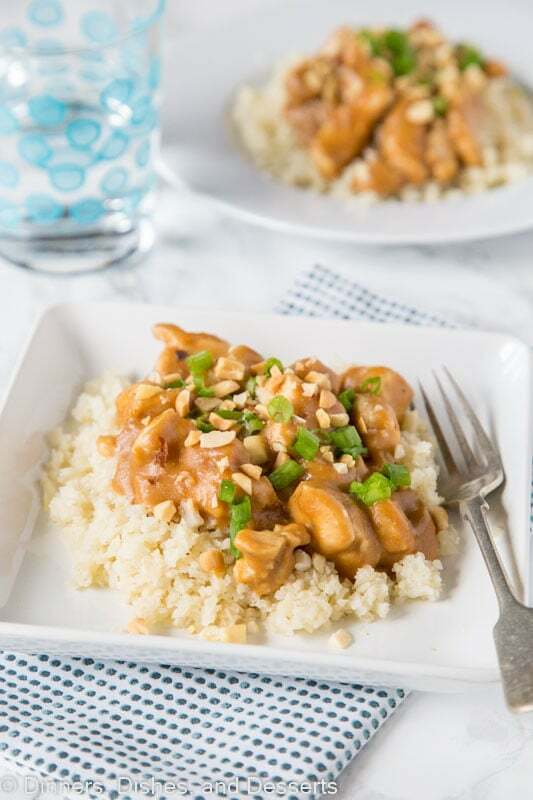 Love how easy to make this tasty and flavorful dish, craving for this! I love chicken. I would like to try this recipe for dinner. 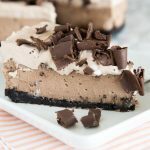 This recipe looks super easy and full of ingredients my family loves. Looking forward to trying soon. 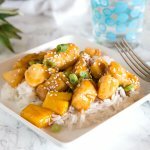 This look such a delicious weeknight dinner! You tips for Stir Fry are so useful! 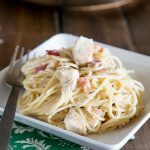 This meal would be perfect for busy weeknights! I can’t wait to try it out! 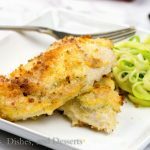 I love a good chicken recipe! The crunch of the nuts on top really add great texture too! What a delicious recipe. 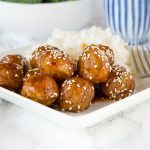 We love takeout and this is something I can make at home!! Obsessed! The sauce was so good! I love chicken satay, but this looks like a much easier way to serve it to the family. Can’t wait to give it a try!